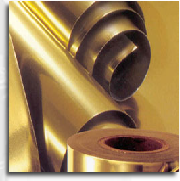 Foil laminations and plastic Mylar laminate rollstock. Rollstock for form fill seal machines. Packaging materials for the food, IVD diagnostic test kits and medical industries. Custom printing including process printing is available. Rollstock laminations, foil and Mylar, for medical and food packaging is made with a solvent-less laminator. This reduces the potential of compromising product ingredients through odors associated with solvent migration. Our advanced moisture barrier lamination rollstock protection keeps fragrance in and odors out, offering vapor barrier protection. In-house lamination also contributes to the rapid turnaround rates for customer’s orders for rollstock and laminations.